We Offer Certifications Courses With Both The American Heart Association And The National Safety Council. 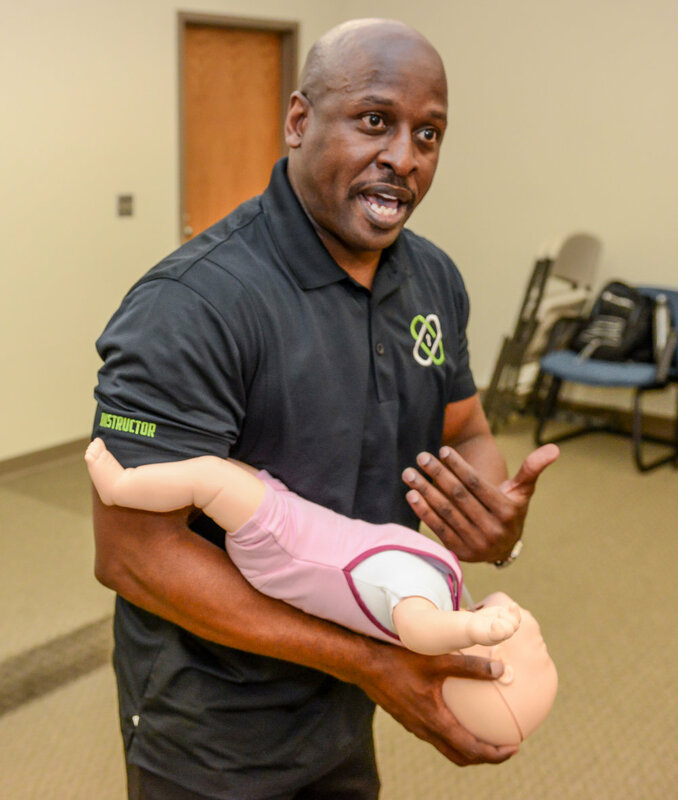 We Have Cross Certified Our Instructors Into The National Safety Council’s Program, While They Maintain Their American Heart Association Certifications. Business, Corporate, Private, Large Group And Multiple Class Discounts Are Available. Adult, Child And Infant Emergency Training. This is approximately a four course that includes classroom instruction as well as hands on student participation. Student must show proper techniques of chest compressions, simulated rescue breathing, use of AED and working with a partner or team of rescuers. Each student will also be required to successful pass a written multiple-choice exam. This is approximately a six to eight-hour course depending on class size and participation levels. The class includes classroom instruction as well as hands on student participation. Student must show proper techniques of chest compressions, simulated rescue breathing, use of AED and proper first aid skills. There is no pre-requisite required for this course. This is approximately a four hour course depending on class size and participation levels. The class includes classroom instruction as well as hands on student participation. Student must show proper techniques of chest compressions, simulated rescue breathing and use of AED. There is no pre-requisite required for this course. Audience: Anyone wanting to be prepared to conduct CPR, use of an AED, or help in a choking situation.